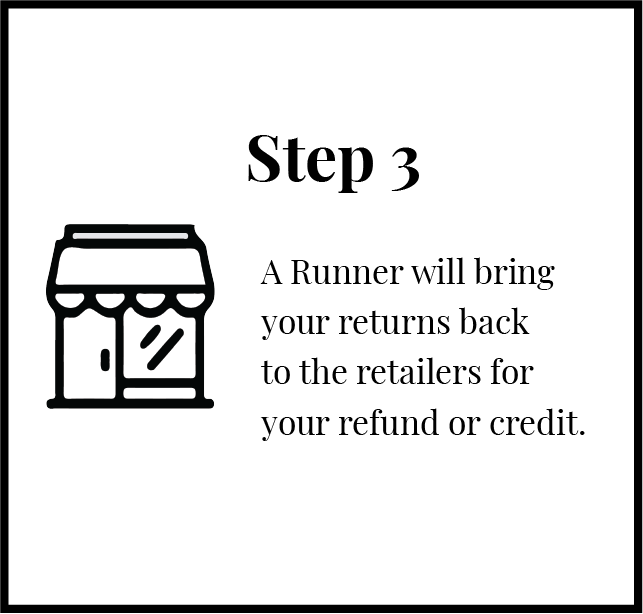 ReturnRunners is your white-glove on-demand return service and the easiest way to make local and online returns. We dispatch a runner to your home or office and take it back to the store or post office to get your refund or credit. We’ve all been there. We have all made purchases that are just wrong. The colors are weird. The sizes are off. You were gifted something you already had or don’t need. It was the wrong brand. Repacking your merchandise and Going to store or the post office is a hassle. You waste your valuable time and money. Use ReturnRunners so you can do more important things!